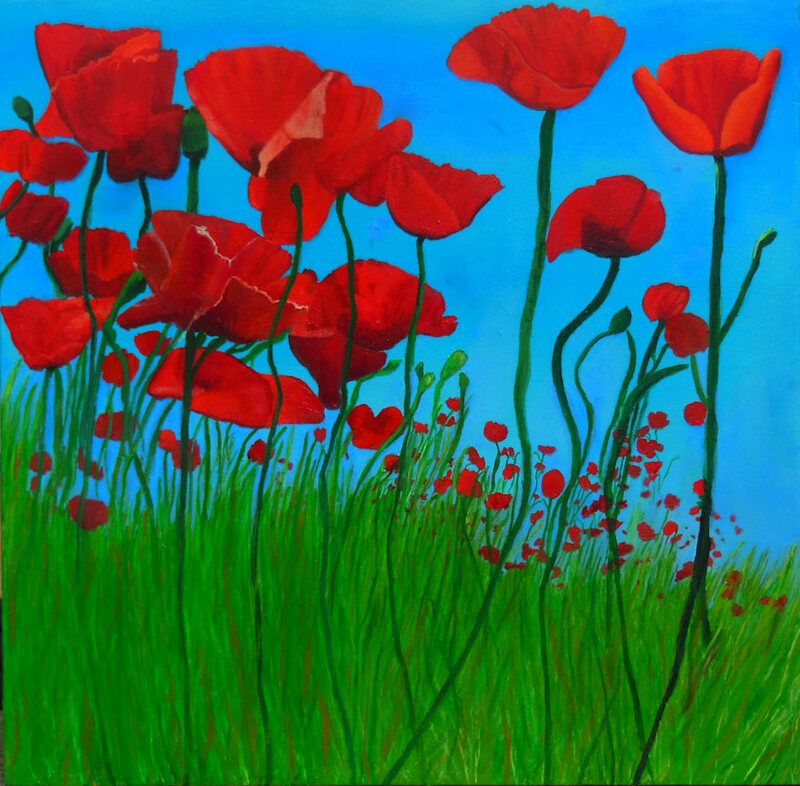 Vividly beautiful scene of blooming poppies on a hill, 20x20 on canvas. This vividly beautiful 20x20 original oil painting is on canvas, and is currently owned by a private collector in North Carolina. This was painted originally as a quick piece, I was aiming for expressionism, but the realism takes over every time! No matter, it was a joy to paint regardless. I loved the process of this, layer by layer, and the surprise when it turned out differently than I imagined it would!